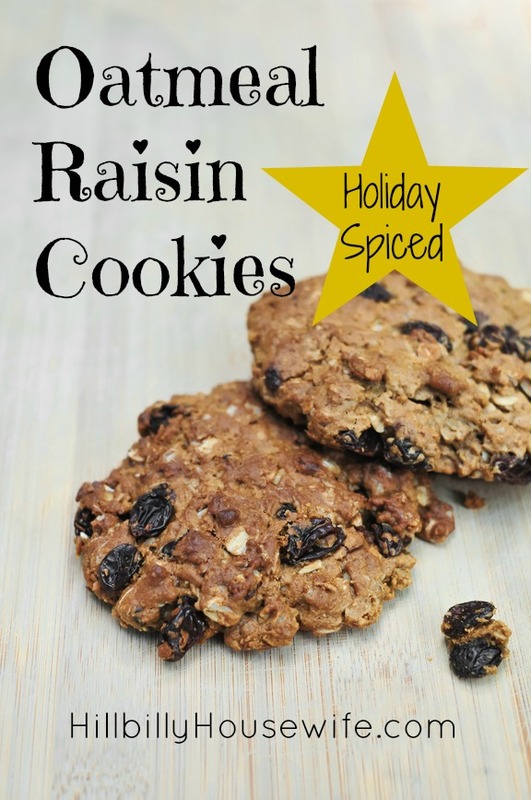 I’m a big fan of oatmeal raisin cookies and make them throughout the year. Sometimes I leave the raisins out, sometimes I use chopped apple instead. In December though, I take things to another level with these holiday spiced oatmeal cookies. The spices and nuts take this from a rather plain cookie to something really special… perfect to go with your coffee on Christmas morning. The recipe is from the Christmas Cookies Kindle Cookbook. Cream the shortening and sugar together until fluffy. With mixer running, add the eggs, vanilla, and milk; mix until well blended. In a separate bowl, sift together the flour, salt, baking soda, baking powder, cinnamon, cloves, and nutmeg. Slowly add these dry ingredients into the creamed mixture while the mixer is running on low; blend well. 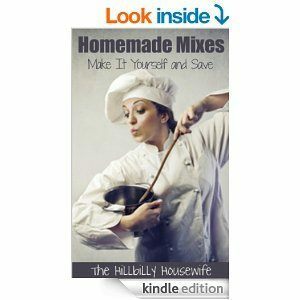 Remove the bowl from the mixer and stir in the remaining ingredients using a large spoon or rubber spatula. Drop teaspoon size piles on the cookie sheet, leaving room for spreading. Bake in preheated oven for 13 to 15 minutes or until lightly browned. 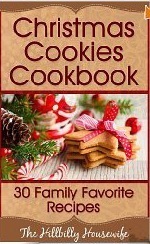 Order The Christmas Cookies Cookbook on Amazon.